I assist Dr. Schilling with patient care and also schedule our patients’ appointments. I love coming to work every day. We have such a great group of people working here and we all love to see our patients leave with happy, healthy smiles. It’s rewarding to help patients feel comfortable and achieve their orthodontic goals. I enjoy spending time outside the office cooking, gardening, camping, and keeping up with my grand kids! I love watching them grow. They bring such excitement to my life! I have worked in the orthodontic field for over 30 years. In that time, I’ve seen many smiles transform, but it never gets old. It has been wonderful to help patients gain the self-esteem that comes with having a beautiful smile. I am happily married to my husband, Bill, and we have two great daughters, Lindsay and Megan, and a lovely granddaughter, Reese. I enjoy my home, taking walks, riding my bike, and reading. I meet with all our new patients during their initial consultations and help them understand their treatment options and the financial aspect of their orthodontic care. Watching our patients’ smiles transform is something truly amazing! I am very proud of the results our patients achieve and the quality of care our office provides. 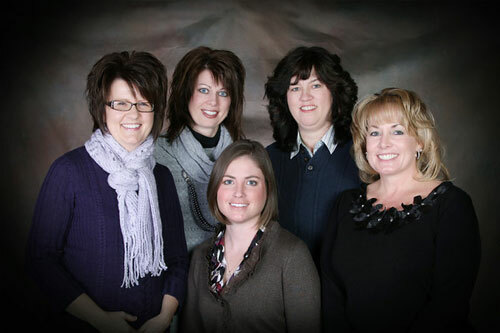 I joined Dr. Schilling's team after completing dental assisting school and working in Columbus. I feel lucky to have expanded my orthodontic knowledge and assisting skills with the most experienced doctor and staff. I think our practice has the best patients too, both children and adults! In my free time, I coach basketball, exercise, and love watching O.S.U. football games. I feel lucky to work with wonderful doctors and assistants to provide gentle, efficient, and rewarding results for our patients.